LG already looking to replace the 4X HD? 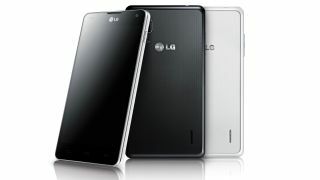 LG has announced its next quad-core handset, the LG Optimus G, which will be the first 4G smartphone to sport Qualcomm's quad-core Snapdragon processor. The South Korean firm recently launched the quad-core LG Optimus 4X HD in the UK, after unveiling it back in February at MWC 2012, but it looks set to replace the handset just six months on. TechRadar reported that the Optimus G was in the pipeline last week, and that rumour has turned out to be true as LG has now officially confirmed the handset. The LG Optimus G is set up to be quite a device, as it'll pack a 4.7-inch True HD IPS+ display alongside that beefy, 1.5GHz quad-core chip, as well as 2GB of RAM, 32GB of internal storage, 13MP rear camera, front-facing 1.3MP snapper, LTE connectivity and NFC. A little disappointingly the Optimus G will ship with Android Ice Cream Sandwich, which now plays second fiddle to the newer Android 4.1 Jelly Bean update – but we'd expect LG's latest handset to get the upgrade pretty sharpish. It's clear that the Optims G is equipped enough to take on the likes of the quad-core brigade including the Samsung Galaxy S3 and HTC One X, as well as the hotly anticipated iPhone 5 rumoured to launch next month. There's no word on whether the Optimus G will make it out of Asia, with it arriving in Japan first, followed by Korea in September. We've contacted LG to find out its plans for wider launch and we'll update this article once we hear back. We hope to get a peek at the LG Optimus G at IFA 2012 this week, as we'll be in Berlin to bring you all the latest from the biggest players in the mobile market.